Glamping is still very much a thing, and with the modular, prefab Lushna Villa Air tent, you can do so sustainably and stylishly. It has a carbon footprint 2774 kg CO2. To certain discerning minds, this will mean a lot. 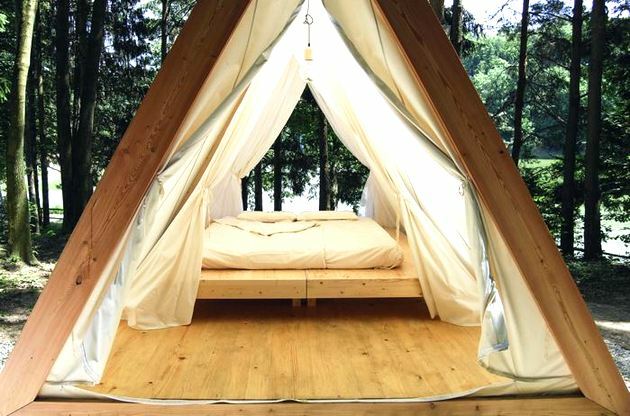 But mostly we love the Lushna’s beautifully minimal, natural and airy A-frame design. It looks unobtrusive out in the woods or wherever your adventure takes you, but while you’re super close to nature thanks to panoramic glass panels, you are cozy inside with a king size bed and organic linens. You can even get a sauna module or a gorgeous green plant roof. 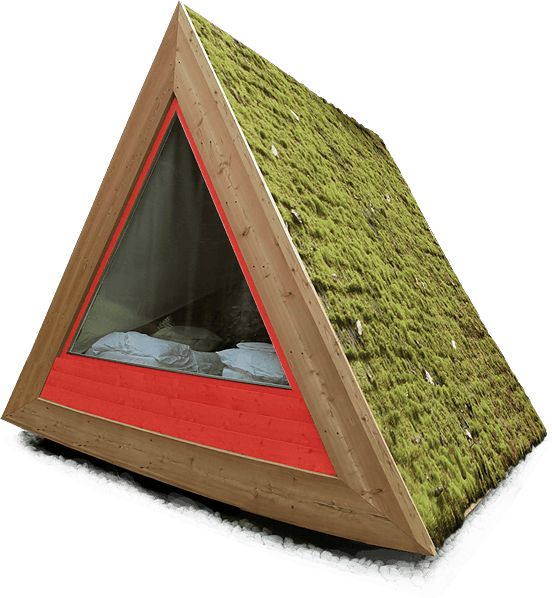 Measuring roughly 13 x 13 x 11′ 9.7″ (converted from meters) on the exterior, offering 110 square feet of space and made of wood and a waterproof roof canvas, the triangular cabin can be easily set up on sand or grass. Thanks to clever ground screws, it doesn’t need a foundation. You get creature comforts like cool lighting, said king-size bed, and AC/DC plugins. Plus, you get organic cotton bedding, an eco latex mattress, textile curtains and a mosquito net on both open facades. You can even get yours with a house number or name! 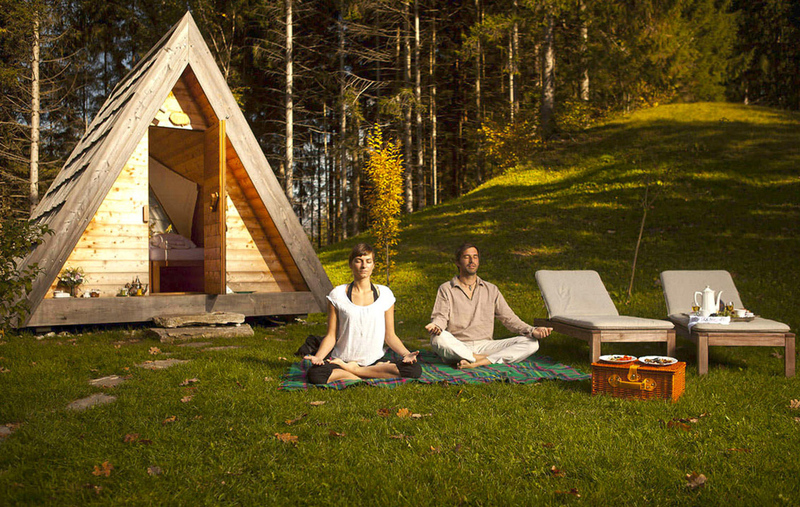 This is especially handy if you’re planning to set up a whole eco glamping village, which Lushna can do for you with these pre-fabricated, fully equipped modular units. 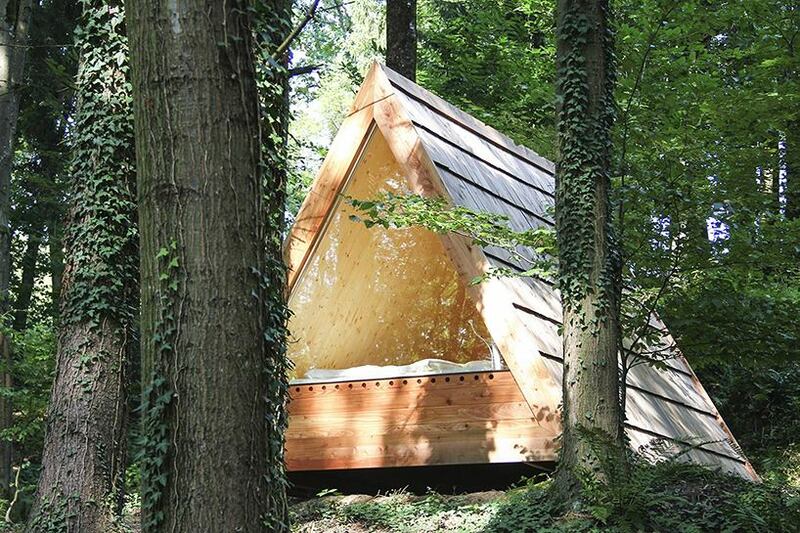 The hut’s floor and structure are made of untreated spruce; the frames of larch wood. 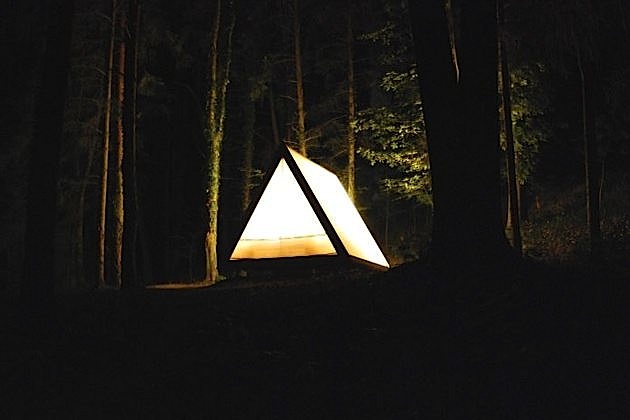 Just like the materials used, the production of these tents is also ecologically sound, promising minimum impact on the environment where they are assembled. Lushna Villa Green comes with a green roof and panoramic glass wall. 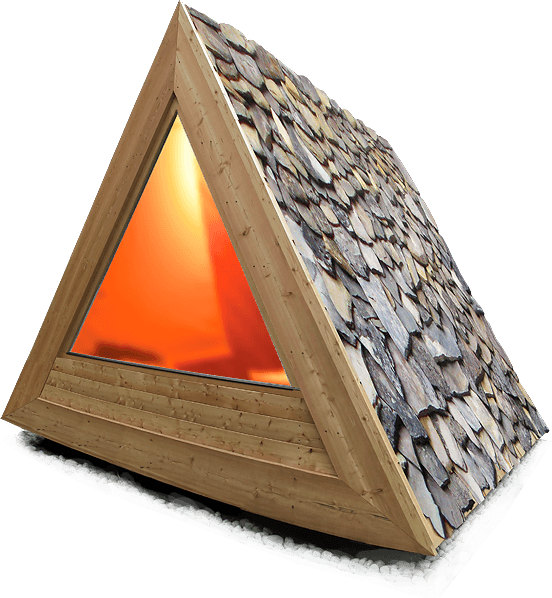 Lushna Sauna works with “finish or infrared sauna heating.” Lushna Villa Massive has a beautiful shingle roof and is ideal for getting cozy on rainy days. The canvas-covered Villa Air’s starts at $4,453. But think of them more like tiny cabins than regular tents.